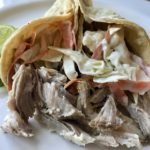 I love these tacos because they are delicious and made in a crock-pot! 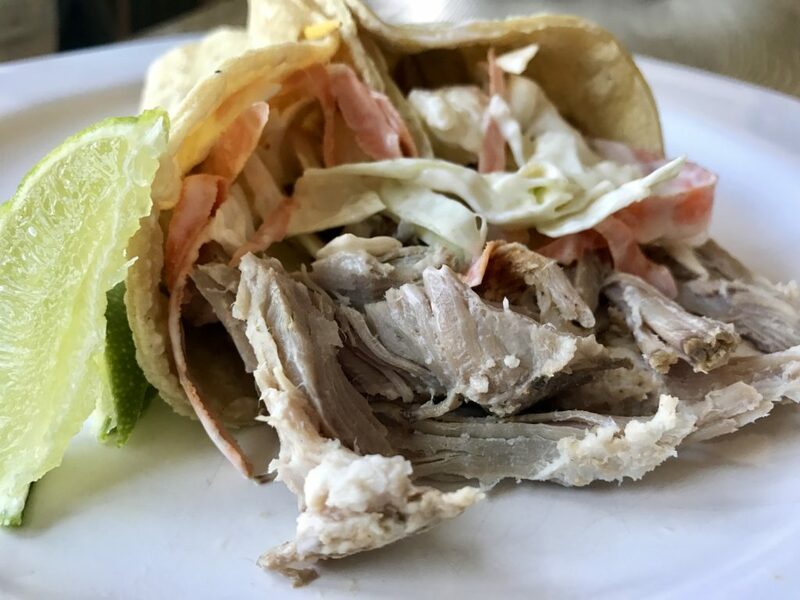 Normally, when I make pork tacos it’s during the warmer months and I’ll let a beautiful pork shoulder go low and slow for hours on the grill. But, with winter in full swing I needed to come up with an option that could cook indoors and while I was at work. Thus, my crock-pot. 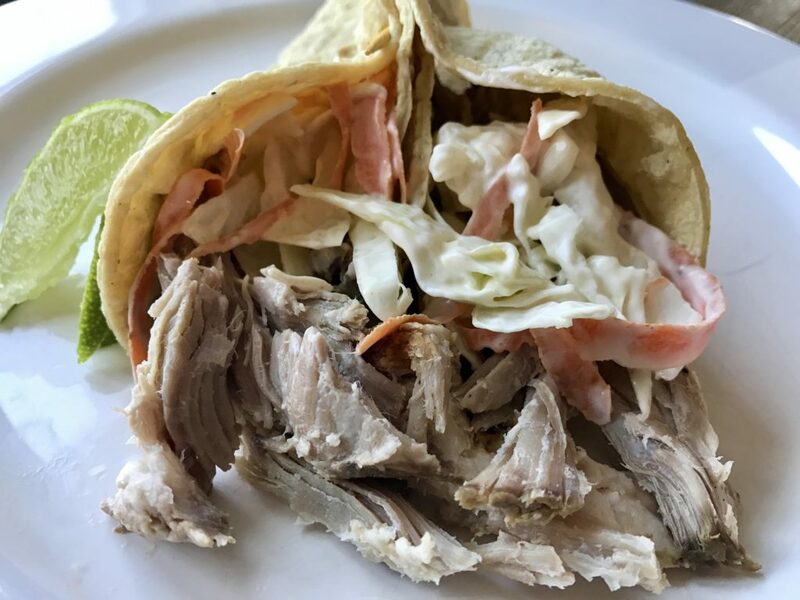 These tacos taste just as good as my summer time slow roasted ones, but they’re way less maintenance…a big win in my book! Give these a try the next time a taco craving hits! Mix salt, chili powder, cumin, garlic powder and white pepper in a bowl until well combined. Remove pork from package and pat dry with paper towels. Rub spice mixture evenly onto the pork. Place pork, fat side up into crock pot. Add garlic and onion. Cover and cook on high for 6 – 8 hours or low 10 – 12 hours. Meanwhile, whisk together mayonnaise, vinegar, sugar, salt and black pepper. Taste and adjust seasonings as necessary. Toss dressing with cabbage and refrigerate until ready to eat. When pork is done cooking, remove layer of fat on top of pork and discard. Shred using two forks. Keep warm until ready to serve. To serve, heat corn tortillas over medium heat on the stove top for several seconds until soft and pliable. Add some pork to the tortillas, top with coleslaw and some hot sauce. Serve immediately.